The SunGlacier project started as an art-meets-science project and now holds real world applications that can change how water resources are perceived. 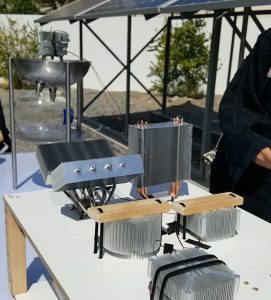 We are assembling a mobile – water from air – device that extracts 20 to 25 liters of fresh water per day. (in semi-desert conditions) This machine is designed to run on solar energy, but also can be plugged in the electrical grid. This new water well supplies water for human consumption but also could be used for new applications, like off-grid farming. For the exhibition “De kunst van Brood” we build world’s first complete off-grid greenhouse. An double artist’s view to the circular economy: we grow grains in bread – and circulate all water. 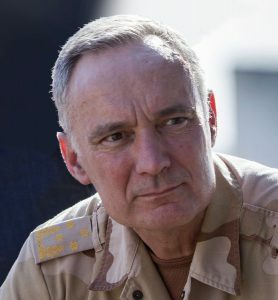 Tomorrow Mr. Middendorp will introduce the latest SunGlacier project: “From Bread to Flour”, at the Planetary Security Conference in The Hague.This unique Art/Tech project is build in world’s first off-grid food production laboratory: water from air technology, growing lights and climate control, all powered by solar energy. 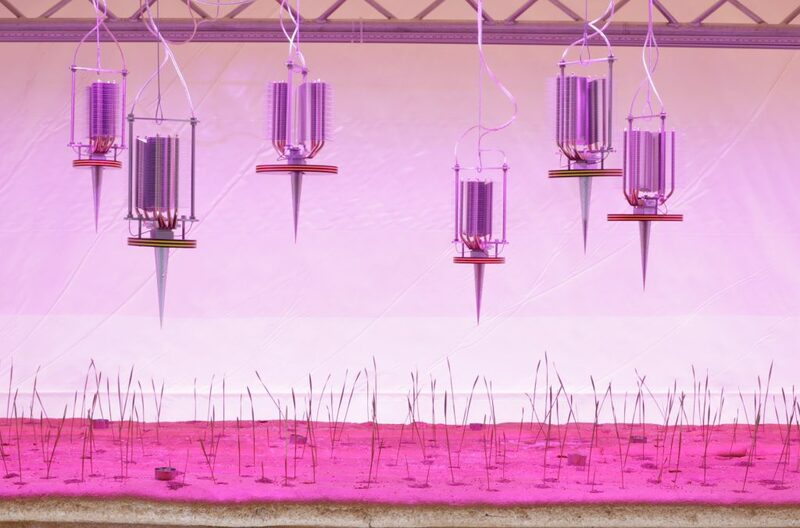 In this project we use Peltier technology to recycle water from air in an indoor Art Project. Tafline Laylin wrote a great article for the OZY website about the SunGlacier Project. We launched a new website, for the Technology of the SunGlacier Project. The whole world held its’ breath when Cape Town threatened to fall dry last year. But who could have imagined that a country like Sweden only one year later turned into a dry savannah, plagued by forest fires. Or that in The Netherlands most of the rivers have changed into small streams, winding through a yellow and withered landscape. Europe and many other parts of the Northern Hemisphere have been affected by high temperatures and drought with conditions of apocalyptic proportions. Records continue to be broken, multiple times, everywhere. Warm air is capable to contain more water. The total amount of rain decreases with increasing temperatures. But while storms are weakening, convective rain cells are intensifying. When the floodgates of heaven open the showers only give temporary relief. 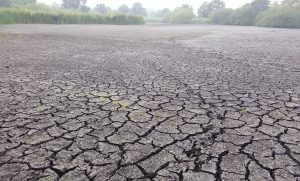 The damage in The Netherlands is calculated in years, and a drought period next year will have cumulative consequences. The salty water of the North Sea flows up the low rivers and below the dunes to reclaim its territory. “Dutch Wetlands”. Picture taken near Eindhoven, accompanied by Peter Glas, Chair Water Board De Dommel (NL), President OECD Water Governance Initiative. We have not seen better climate conditions for harvesting water from the air than before now. More drought means more sunshine (free energy) and higher temperatures mean more available water to harvest. 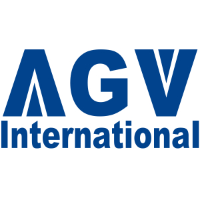 We already predicted these developments for more than a decade and since 2010 we have gained enormous knowledge about optimizing the “water from air” technology. Probably in the upcoming months we can leap the final hurdles and present our technology to the market. In my personal view it is 5 past 12, but we still have options for the future of this planet. My motto has never changed: “embrace your enemy”. As the climate changes, we will have no other option left but to use most of the changes to our advantage. 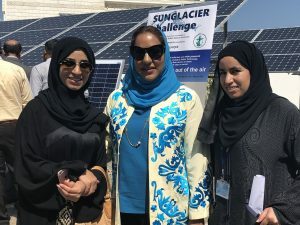 To encourage university students to develop creative solutions to of the most serious effects of climate change – drought – the SunGlacier team organized a challenge for them to harvest water from air. 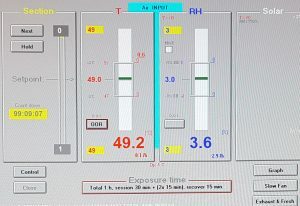 With an inexpensive Peltier cooler that is found in all types of laptop computers, the students were tasked with maximizing the amount that could be extracted from air, even in this dry region. SunGlacier believes in action over discussion, because the world urgently needs bright ideas to cope with the realities of a rapidly-changing climate. Future generations will need to implement new solutions in ways that are difficult to imagine at present, and young adults can also find joy in pushing the borders of science in this Try-Out. We hope for this to be just the beginning, with the collective power of fresh minds leading the way on new possibilities. 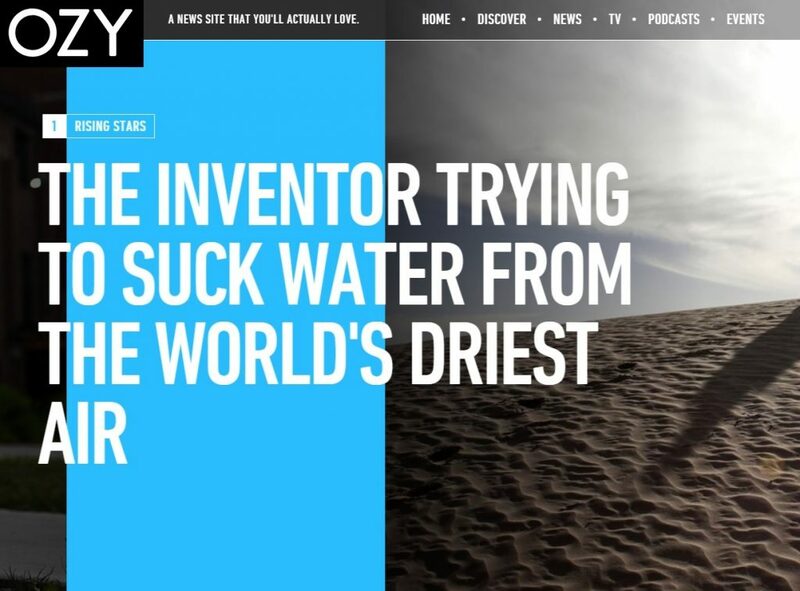 Success in this could have far-reaching benefits for thirsty people in dry lands. The finish of the SunGlacier Challenge. 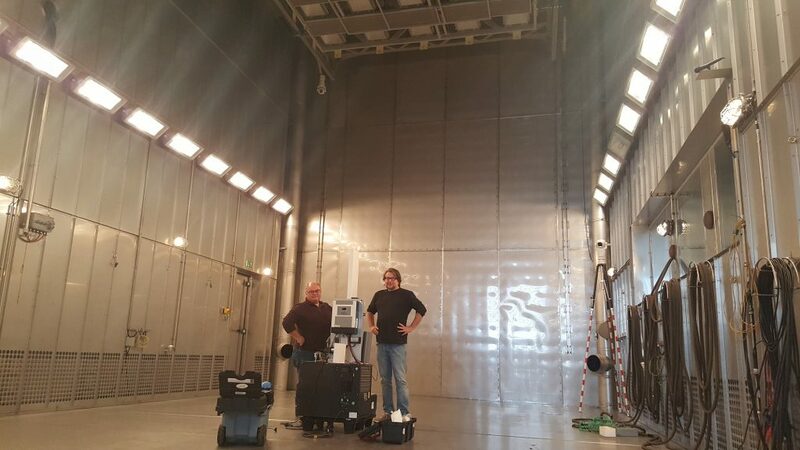 The team of Windesheim University of applied sciences joined with 4 excellent devices that harvested water from air, in more extreme conditions, than expected. The Sultan Qaboos University Team displayed 2 devices that impressed by their creative designs. Many thanks to Wetskills and Sultan Qaboos University for the excellent organisation. Further thanks to Dutch Ministry of Foreign Affairs, Medrc (location) and PDO. Our personal thanks goes to Dr. Ahmed Al-Busaidi, and Nicolina Becx. 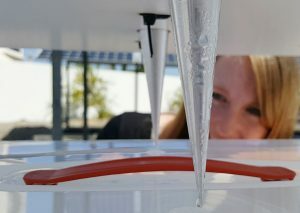 Nienke Bregman, member of the Windesheim Team inspects the first water drops. Next to our new Droppler technology, we have still high expectations about harvesting water from air using cheap Peltier devices. Several international university teams will be present in Oman to battle for the SunGlacier Challenge. (March 2018) All student teams use an equal 250 Watt solar panel to produce water from air with a Peltier device. 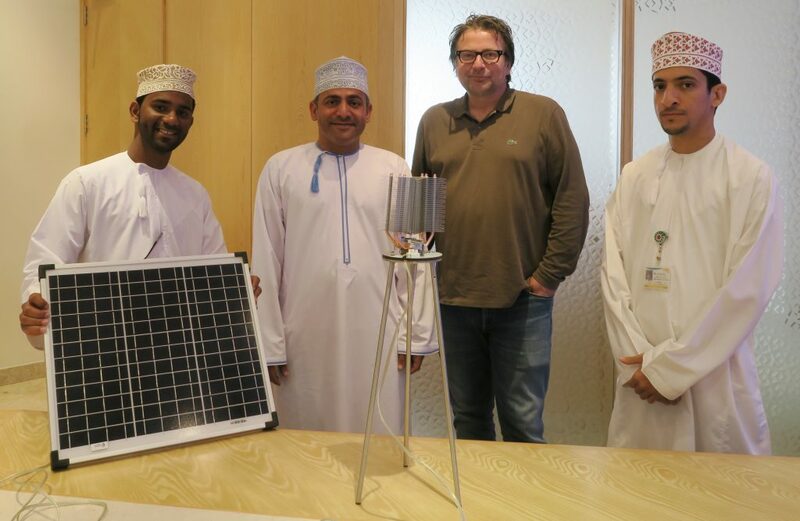 Photo: Ap Verheggen presents the Peltier Technology to the main sponsor – PDO (Petroleum Development Oman), accompanied by the organisation of the Sultan Qaboos University – Muscat. Photo: Discussing the SunGlacier Challenge at MEDRC Headquarters, Muscat. Medrc supports the Challenge by offering solar panels and space for the SunGlacier Challenge.